Is anyone else excited that baseball is back? We could hardly wait for America’s Pastime to return — and luckily, this year the wait felt shorter than ever. Maybe it’s because this Opening Day is the earliest in the storied history of the big leagues. 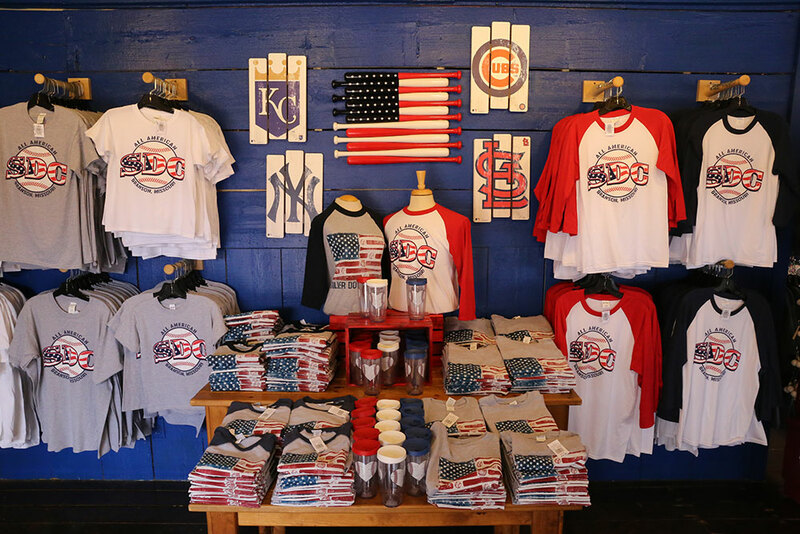 Now that the season is started, all that’s left to do is head to the ballpark and root for the home team! 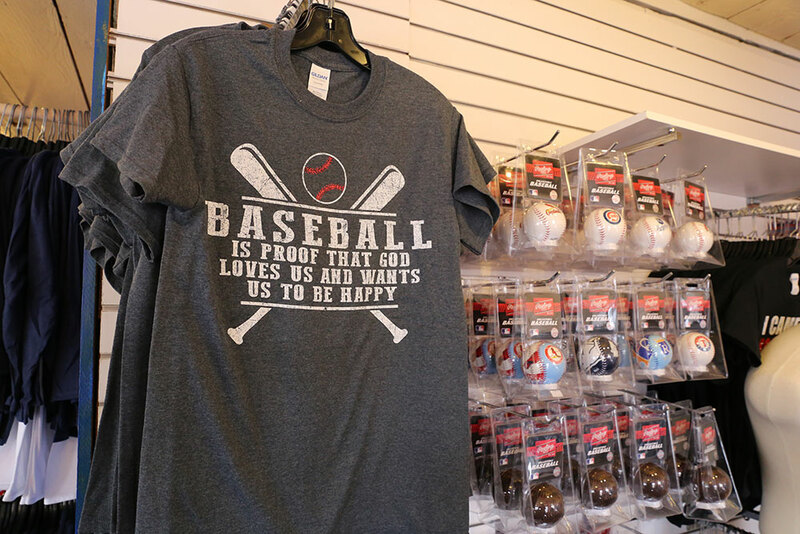 If you love baseball as much as we do, you’re going to want to swing by Silver Dollar City soon and check out our newly renovated shop dedicated to all things baseball. Casey’s Bat Cart got called up this season and now has a brand new storefront across from the Frisco Barn, fittingly named Casey’s Dugout. Don’t worry — you’ll still find signature items like personalized baseball bats. 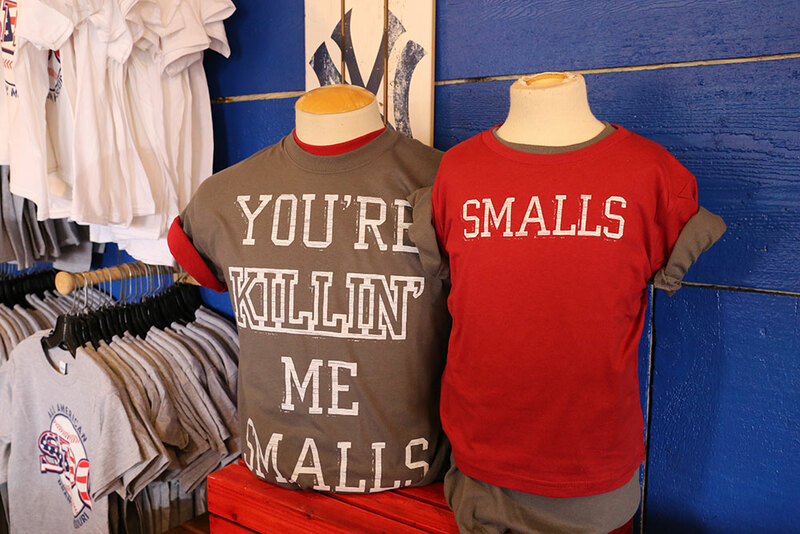 But there’s an expanded selection featuring everything the raving baseball fan needs. You’ll find trading card sets, hats and accessories bearing the emblem of your favorite professional team, along with a wide range of apparel. Once you’ve picked out your shirt, take a peek at the wall décor and fun furniture pieces to complete your sports room. 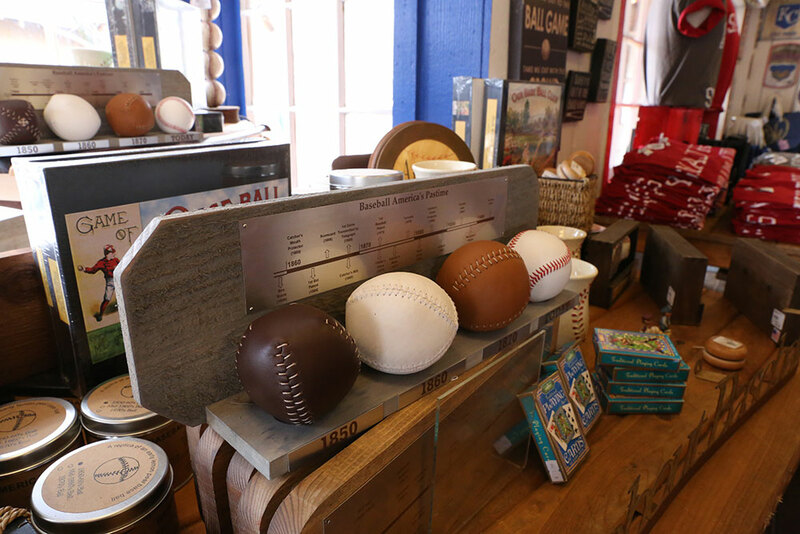 Pick up a baseball for your memorabilia collection. 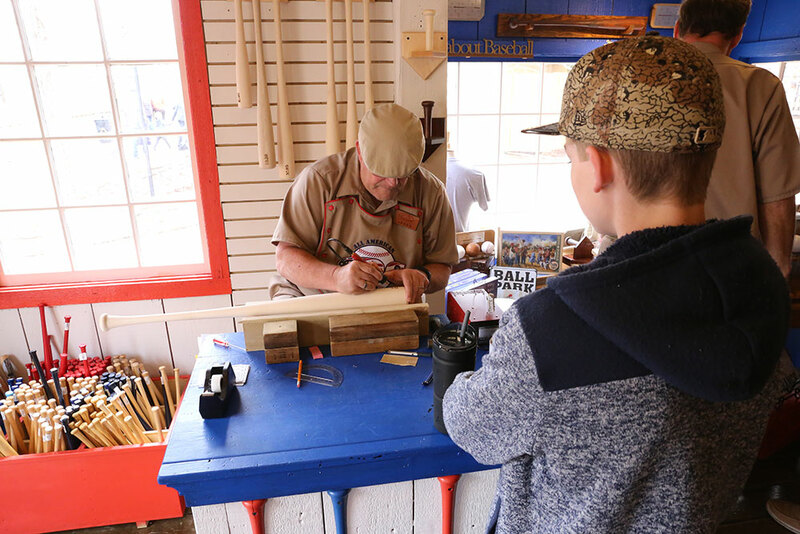 You can even have one of our hand-turned wooden bats personalized with the name of someone special — and watch as our pros engrave it right before your eyes. No matter what you choose, you’ll be “mighty” pleased with Casey’s. Where do you find this new shop? After entering the park, head down Valley Road, beyond the new Time Traveler roller coaster and past the renovated dining area. You’ll see Casey’s Dugout on your left. Remember: If you want to bring one of these items home, take advantage of our free Package Pickup service. Just tell any shopkeeper that you’d like to use Package Pickup and they will arrange for your souvenirs to be sent to the front of the park. You can pick them up as you are leaving for the day.